After the Boat Cruise Summer Series kicks off with TCHAMI on 5/21, we’re keeping the party going strong at Ascend Boston with Mercer. Signed on Hardwell’s label Revealed Recordings and well know for his track “Welcome To The Jungle” produced with Alvaro, this is an after party you won’t want to miss. 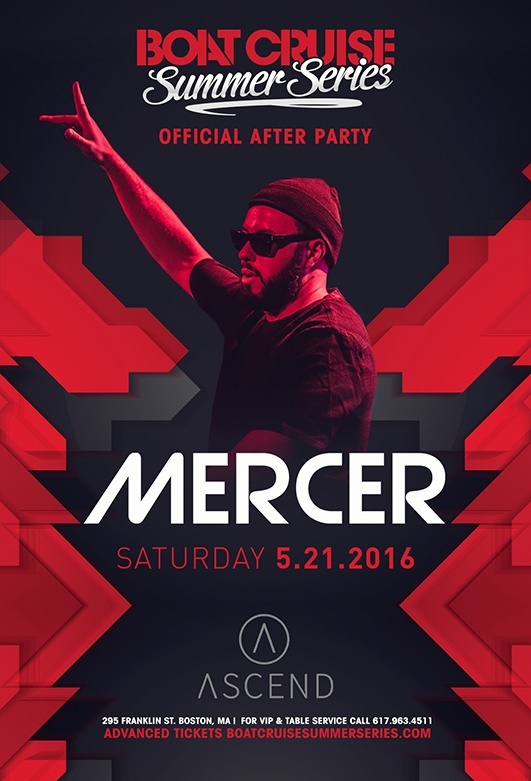 Questions about booking VIP tables or packages for Mercer at Ascend? Text 617-340-8791 for more information.